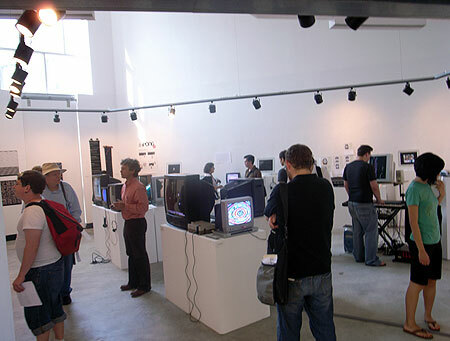 More pictures of "Bitmap: As Good As New" at The Leonard Pearlstein Gallery, Drexel University, Philadelphia, can be seen on the vertexList blog. Am proud to have work in this show with other 8-Bit artists (versions 1.0 and 2.0). That's my TV bought on clearance in the center.